Please help support the Fountain Valley Girls Fastpitch Softball Association by participating in our Fire Truck Ball Drop! 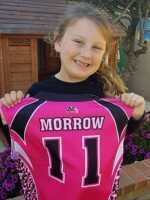 We are a non-profit community softball league serving girls ages 4-14 in Fountain Valley and surrounding areas. We are NOT funded by the city or any other public organization. 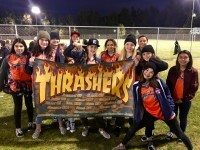 As such, fundraisers and player registration fees are our sole source of income to rent and maintain playing fields, buy uniforms and equipment and otherwise maintain the softball program for the girls participating. What is a Fire Truck Ball Drop? It's like a Sweepstakes, but way more fun! Make your donation and you'll automatically have a numbered golf ball assigned to you and during our Closing Ceremonies on May 4th at 1pm, all of the numbered golf balls will be dropped onto our home softball fields from the top of a Fire Truck. There are 5 chances to win a cash prize. One Cash Prize of $500 and Four Cash Prizes of $250!! The numbered ball that is closest to the target will WIN!!. Once you have successfully completed your purchase, you will receive your unique golf ball numbers with your receipt at the end of purchase. The player who raises the most money for the league will win an iPad! Your generous participation in this fundraiser will help our league continue its commitment to developing young female athletes (and may even put some $$ in your pocket!). REMEMBER: The player that raises the most money for the league will win an iPad! Thank you for supporting Fountain Valley Girls Fastpitch Softball.